If you live in a city, you might be familiar with the lack of privacy when you step outside your back door. 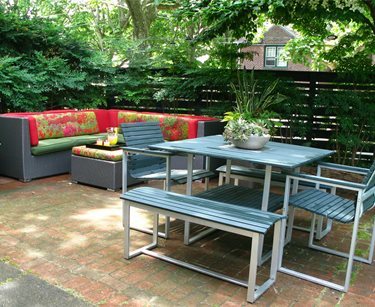 However, there are ways to make your outdoor spaces, no matter how close to your neighbors, feel a bit more intimate. 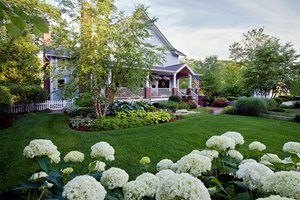 This city yard was once overgrown and exposed, but with the help of landscape designer Maria Hasenecz of Livable Landscapes, it was transformed into a space that is visually attractive, calming and quiet. 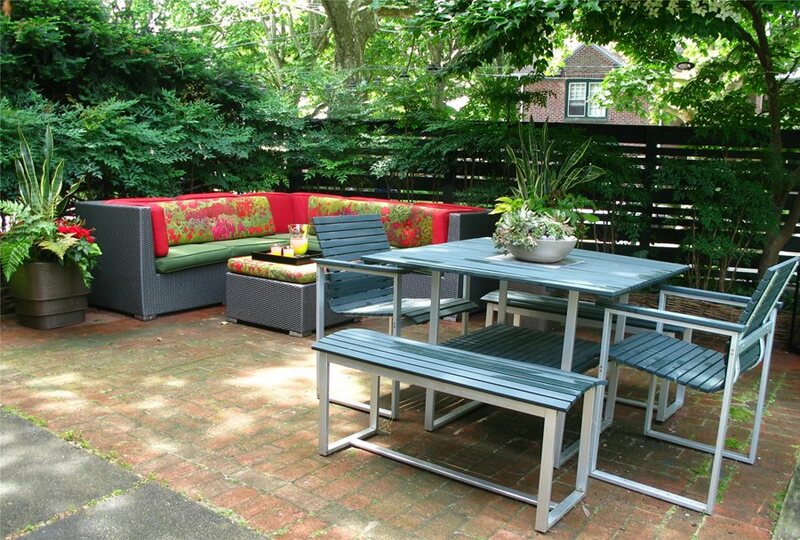 A six-foot fence was installed to add privacy and reduce the sound of traffic and an outdoor room was created complete with comfortable lounge seating as well as a dining table. 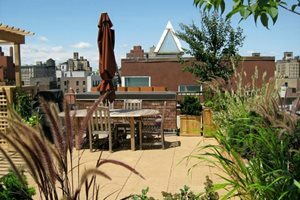 One of the biggest challenges for city-dwellers is the lack of outdoor space. 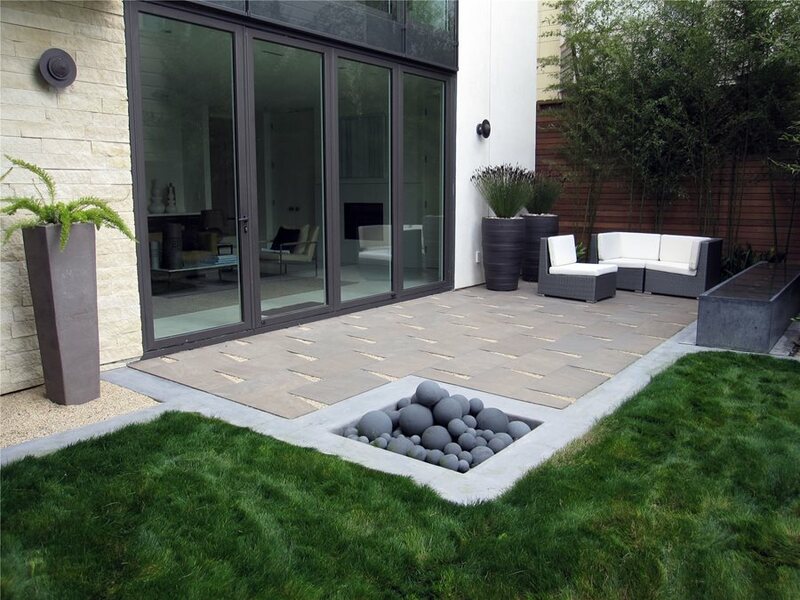 This small urban garden proves that limited space can be overcome with a great design. 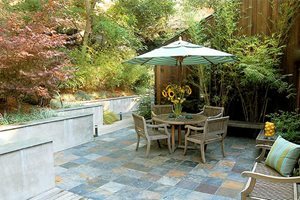 A permeable patio with a fire pit integrated into the corner serves as a great gathering spot and is especially appealing when the home’s large glass doors are swung wide open. 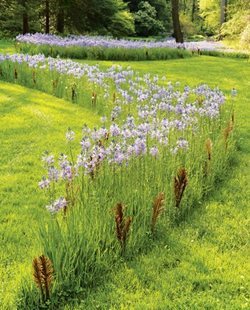 Ive Haugeland of Shades of Green Landscape Architecture, who designed this garden, offers this advice, "In a garden this size, round shapes create leftover, wasted spaces." 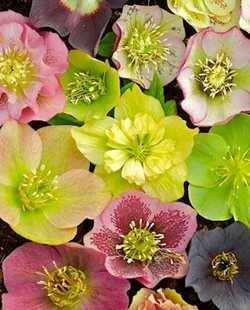 Instead she recommends using squares so that every square inch can be used. Often cities are quite hectic, but when you step through the gate into this Asian-inspired landscape you’re immediately transported into a serene and contemplative space. Designed by Barbara Stock, of Stock & Hill Landscapes, this garden, surrounded by an attractive privacy fence and tall stands of bamboo, makes you forget you are in the city altogether. Multiple water features work together to mask the sounds of passing cars and nearby neighbors, while natural stone creates a timeless appearance. Furthermore, a variety of specimen trees give the garden an established feeling, despite being quite new. 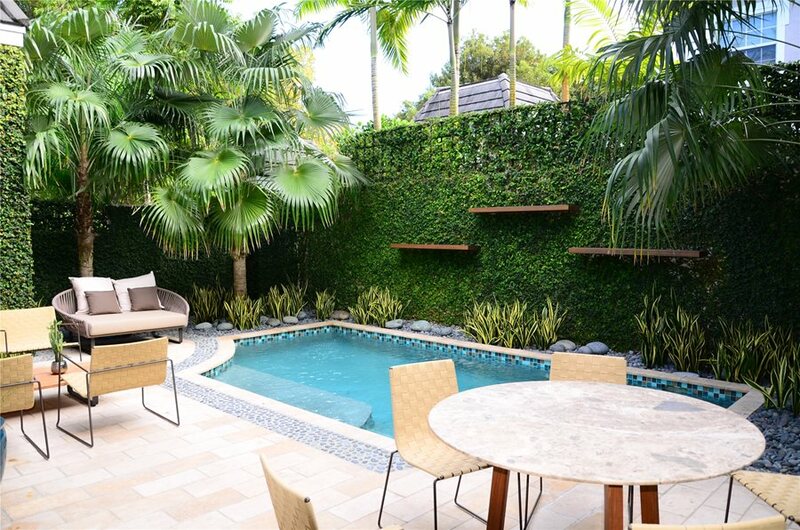 If you live in the city and have always dreamed of having your own pool, it no longer has to be a dream. 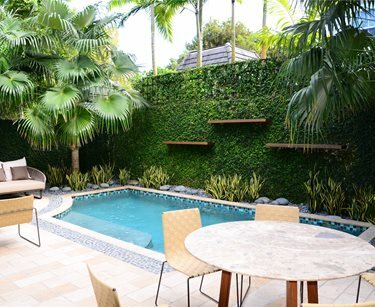 This property, just south of downtown Miami, only had a small courtyard available for outdoor living. However there was enough room for a splash pool. Splash pools, which are in between a spa and a pool, are perfect for a quick dip on a warm summer afternoon. This one features glass mosaic tiles along the waterline, travertine coping and a Mexican pebble border. 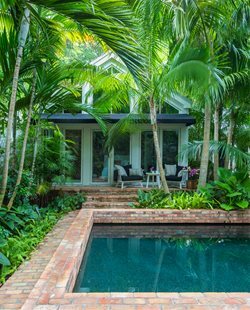 Behind the pool is a wall topped with a trellis and covered with creeping fig that provides much needed privacy. 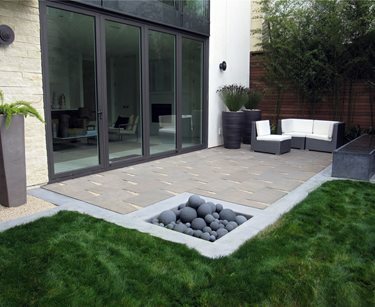 In some cities it is very unusual to have an outdoor space at all. If this is the case, you may want to consider your rooftop as a possibility. 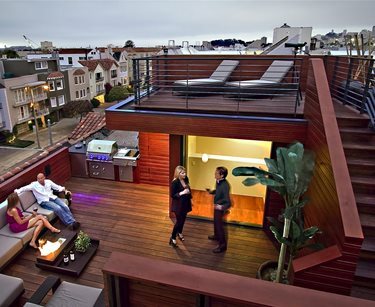 Rooftop gardens or outdoor living spaces are being designed into many new homes being built, such as this one in San Francisco. If you have an older home, you can have an engineer assess the structure and your roof to see if it can accommodate something similar. 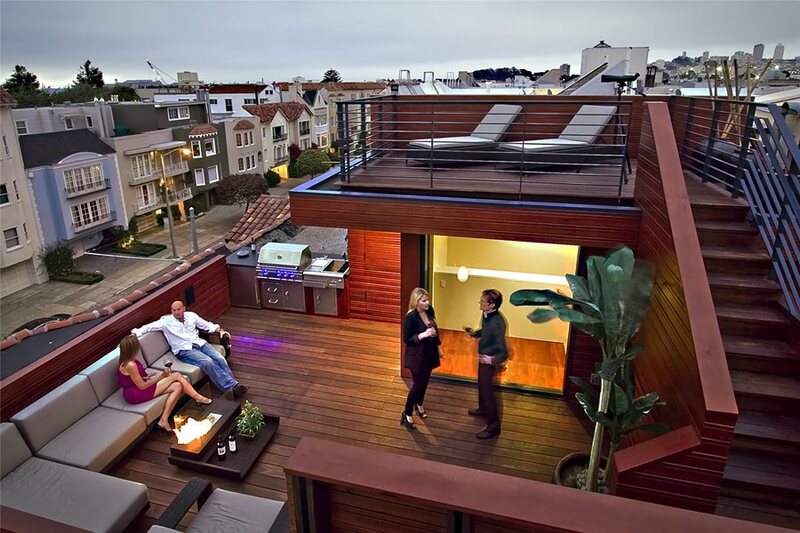 This example features a grill, fire pit, seating and view deck. There’s even a hidden projector for watching sporting events on the wall of the neighboring property.